You are here: Home > MCSD News & Alerts > MCSD News & Alerts > CMS News > Summer Y Programming Opens Now! Name: Summer is Awesome at the Y! Description: The YMCA is getting ready for Summer, are you? 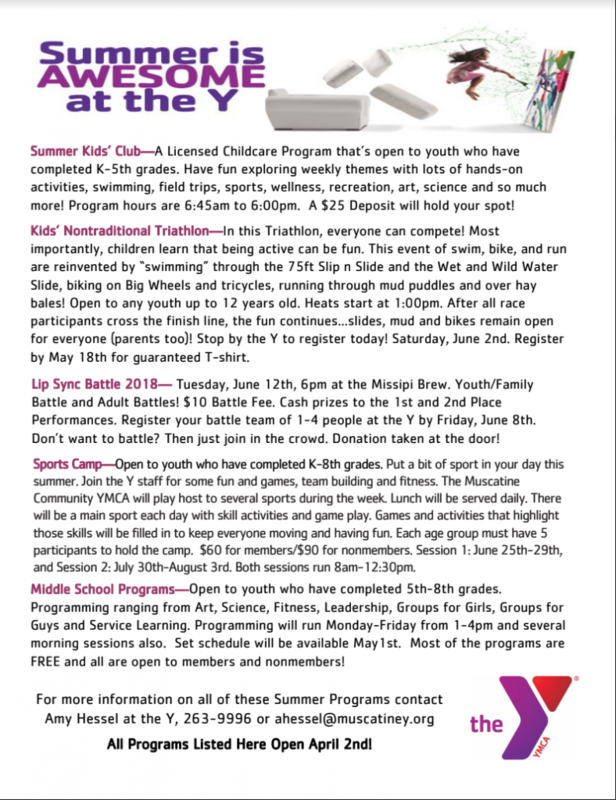 Check out the great activities, programs and events the Muscatine Community YMCA has in the works, from child care to camps to events! Contact Amy Hessel about any of these activities, ahessel@muscatiney.org or 563.263.9996. Registration is open NOW!